By Chandler Marrs, PhD in Hormones Matter. From its title, Mitochondrial Myopathy in Follow-up of a Patient With Chronic Fatigue Syndrome, I doubt anyone would ascertain the importance of this case study, but a quick read of even just the abstract tells an entirely different story. A deeper dive into the full article reveals just how remarkable this case really is. A more appropriate title might have been: Treatment Refractory Chronic Fatigue Syndrome Resolved with Vitamins. Here was young man (30 years old) who, six months after surviving infective endocarditis of the native valve that necessitated, not only the use of some pretty powerful antibiotics, but also, an aortic valve replacement and oral anticoagulation therapy, developed profound and unremitting fatigue. 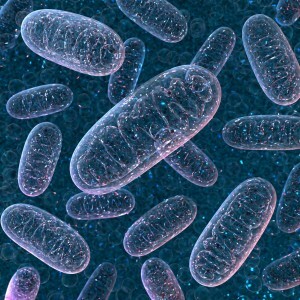 Several years and conventional treatments later, physicians considered the mitochondria and the prospect that mitochondrial damage might be behind the fatigue and other symptoms. Mitochondrial testing ensued and upon confirmation, treatment with vitamins, 300mg of thiamine (vitamin B1) and 300mg of riboflavin (vitamin b2) commenced. Within a month, there was significant improvement that was maintained at the five year followup. Effectively, vitamins treated what medicine could not.